If you have questions or need assistance, contact Ben Cerny or Monica Patterson at [email protected] or 202.994.8633. We encourage employers to sign up to be a panelist or presenter at one of our workshops or have your organization represented at fairs and expos. The Center for Career Services is committed to understanding your organization’s unique recruiting needs and outreach efforts. We look forward to partnering with you to optimize your experience at GW. We collaborate with our colleagues across campus, including nine school-based career offices, to provide rich programming and a variety of tools in support of our student and alumni community. We offer a variety of ways for you to recruit and connect with students and alumni on campus, at your organization’s office or virtually. 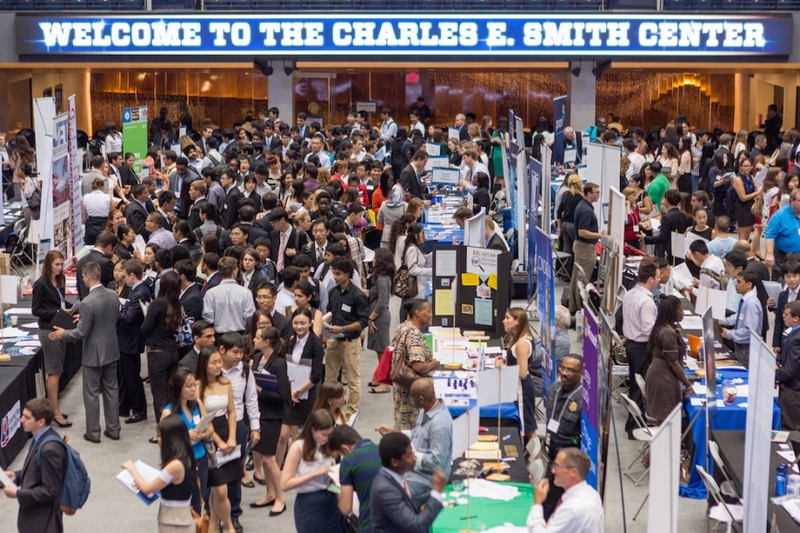 Handshake is the one-stop shop for companies, non-profits and organizations of all shapes and sizes to find, recruit and hire the best GW students and alumni. The George Washington University partners with Handshake—a modern platform for college recruiting that makes it easier for employers to recruit talent by centralizing the process, allowing you to connect with and post to multiple universities from one account. The system is intuitive to use and provides a more streamlined, organized college recruiting process. Employers will be able to post jobs and internships at no cost, register for career events, and connect with great candidates. Click on Schools located on the left navigation bar. Next, click on the Add Schools tab. Type George Washington in the search bar and click the plus sign next on the left of GW’s logo. Many resources are available on Handshake's Employer Info page to help you build your profile or post a job or internship. QuadJobs serves as a central job portal for individuals and businesses looking to recruit GW students for short-term temporary jobs (e.g., babysitting, dog walking, house sitting) and part-time help. To increase your visibility and recruit GW students and alumni, post your job or internship to 100,000+ registered GW student and alumni users in Handshake, our online career management system. Create a new Handshake account for free. If you have questions or need assistance, contact our employer relations staff at [email protected] or 202.994.8633. We review each posting individually and reserve the right to accept or decline any postings submitted through Handshake. Review the U.S. Department of Justice’s Best Practices for Online Job Postings to ensure that your organization is in compliance with the law regarding work authorization when you’re recruiting at GW. All postings adhere to EEO compliance standards. Job postings are suitable and appropriate for GW students and alumni. Internship postings meet the U.S. Department of Labor definition and criteria for internships. We do not play a role in determining whether an internship or co-op job qualifies for academic credit; neither do you as the employer. If a GW student wishes to earn academic credit for an internship, the student must consult his/her dean’s office. Your role, if any, would be to assist the student by providing any information requested by the dean’s office so that a determination can be made about what kind of academic credit might apply. When students earn academic credit in an experiential setting such as an internship, tuition must be paid to the university in exchange for that credit. A student’s individual course load and financial profile may determine whether or not he or she seeks credit for an internship. We encourage you to provide competitive hourly wages or stipends to help students defray the ever-increasing costs of living and tuition. If you are offering unpaid internships, we expect you to comply with the seven federal guidelines, particularly as it relates to internships. If you have questions or need assistance, contact QuadJobs. For details regarding policies and use of the platform, view QuadJobs FAQs. The Center for Career Services provides employers with a professional setting on campus to interview GW students and recent alumni for full-time employment or paid internships. Log in to Handshake to schedule a date for on-campus interviews, post positions and preselect candidates to interview. Be sure to review our recruiting policies and guidelines (see the tab below in this section) before you start to recruit on campus. Our on-campus interviewnig season runs October through April, with a winter break from December to late January. We offer three interview options to help you identify the most qualified students for your positions. Preselect: You may choose to preselect your interview sign-ups by posting the positions through the On-Campus Interviewing section of Handshake. After the application deadline, you will be able to review the candidates to select interview candidates and alternates. With the Preselect option, we take care of scheduling interviews to minimize your workload. Preselect to Alternate: This option follows the same structure as the Preselect option, but allows for alternate candidates to sign up for interview slots that are still available closer to the date of the interviews. Generally, alternates can sign up for any remaining spots about two days after the preselected students can begin signing up. Room Reservation Only: Room reservations are granted on a case-by-case basis, typically to employers who would like to interview candidates they’ve connected with at a career fair or information session. This option gives you more freedom to control the schedule, but requires you to provide us with your schedule at least 48 hours in advance. We understand traveling to GW is not possible for everyone. If you are unable to visit campus for interviews, contact us at [email protected] to arrange phone or virtual interviews. In addition, you may post job and internship opportunities in Handshake. Interviews that are part of our On-Campus Interviewing program take place in the Center for Career Services or the School of Business F. David Fowler Career Center. We are also happy to accommodate your interviewing needs in our comfortable, private recruiting suites. We encourage all employers to follow NACE (National Association of Colleges and Employer) Guidelines. This includes providing a reasonable time frame for students to consider all full-time and internship opportunities and offers. Please review our General Recruiting Policies. Job and internship offers should be made in writing and sent directly to the student. Please also notify us at [email protected] to ensure staff can work with students on adhering to student policies. Let students know about your organization and the opportunities you have available. Information sessions and tables can complement on-campus interviews or career fair attendance, or you can set them up as stand-alone events. Gain a stronger presence on campus by partnering with us to meet with students and provide career advice, industry information, mock interviews and resume critiques. Your professional insights and experience are invaluable to students who are preparing to embark on their careers. We are always interested in having recruiters or alumni working at your organization participate in our special events. Site visits are a great way for students to gain a deeper understanding of your organization and the scope of your work. 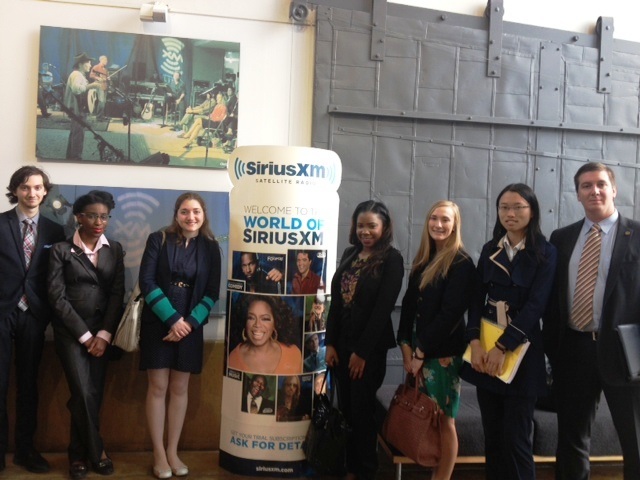 Contact us if your local organization is interested in sponsoring an employer site visit for GW students. Virtual recruiting options can be a good way to engage students if your organization is unable to come to campus. Possible formats include information sessions, webinars and virtual fairs. If you have questions about our career fairs or events, contact us at [email protected] or 202.994.8633. We hold several career and job fairs and industry expos each academic year to provide employers with opportunities to connect with students and alumni. Be sure to review our recruiting policies and guidelines (see the tab below in this section) before you register to participate at an event on campus. These events allow employers to brand their organizations and recruit a diverse pool of students and alumni for multiple internships and full-time positions. Traditionally, more than 100 employers and 1,500 students and alumni participate in these large-scale events that are held each fall and spring semester. These events allow employers to specifically target students and alumni searching for internships and full-time positions in a specific field. While the format of the expos may vary, they provide an opportunity for employers and students to connect through panel discussions, roundtable discussions, networking and/or small-scale career fairs. Register for GW fairs in Handshake! Please review our policies on posting jobs and internships and extending job offers.